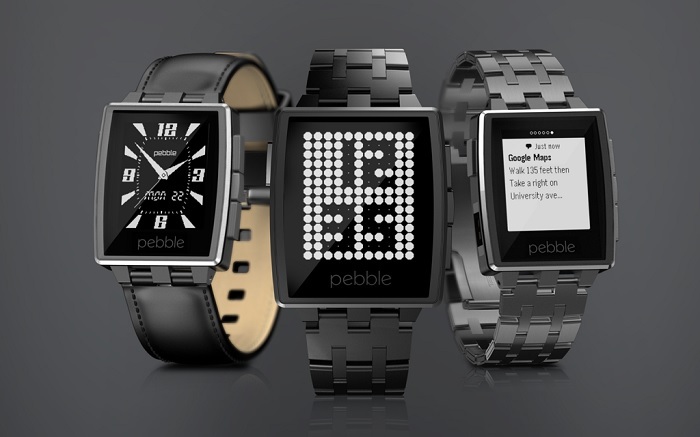 The hugely popular Kickstarter crowd funded next generation Pebble smartwatch will soon be arriving at Best Buy in the form of the new style Pebble Steel and will be priced at $229. The Pebble Steel smartwatch sports a sleek new stainless steel and Corning Gorilla Glass body and is powered by a artery that is capable of offer a weeks worth of use on a single charge. “Last year, Best Buy became our very first retail partner—the first shop to sell the original Pebble in stores and online. We’re excited to team up with Best Buy once more to make Pebble Steel available for $229 in two finishes: Brushed Stainless and Black Matte—both with a black leather strap.